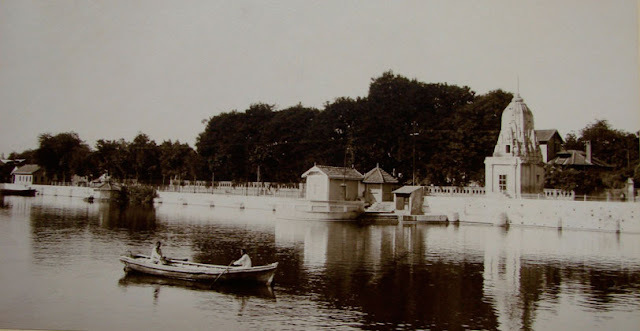 Sursagar Lake, formerly known as Chandan Talao, lies in the middle of the city of Vadodara. Rebuilt with stone banks and masonry in the 18th century, this lake remains full of water throughout the year. A concrete wall rings the lake that is often used by people to sit and enjoy the evenings. 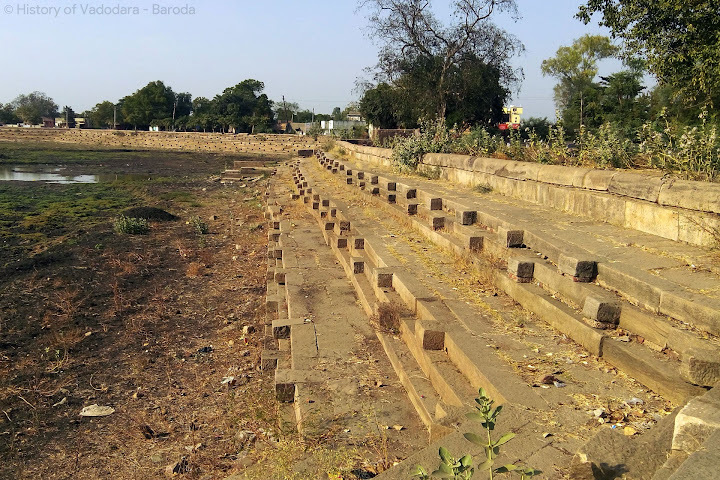 Vadodara Mahanagar Seva Sadan (VMSS) also constructed a 120 ft tall statue of Lord Shiva (Sarveshwar Mahadev) in standing posture which was installed in Year 2002, in the middle of this lake. There are several underground gates that have been constructed to empty the lake in case it shows signs of overflowing. Water from these gates gushes to Vishwamitri river, which flows through the City. The lake is now being used for boating purposes, and looks extremely beautiful particularly on moonlit nights. The Statue of Sarveshwar Mahadev is also decorated with Lights on Shivratri, Maha-Shivratri, Ganesh Utsav etc Festivals.